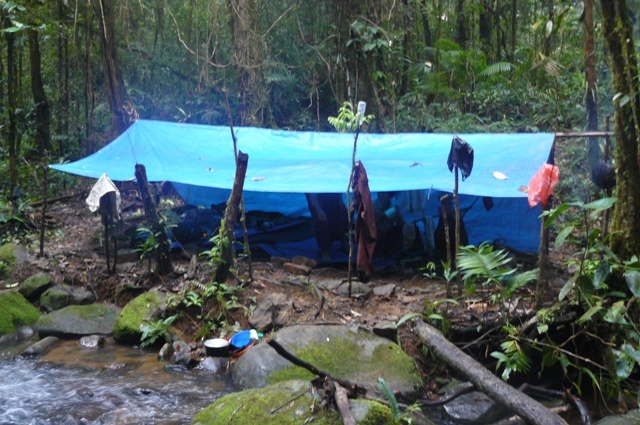 Bukit Barisan Selatan National Park (‘BBS’) has been a quietly kept secret for a long time, but is now firmly on the Sumatran birding map after the discovery of a site for the critically endangered Sumatran Ground-Cuckoo in 2007. Since then many birders have come and explored the area around Liwa, and the number of Sumatran montane specialities recorded in BBS has risen sharply. Less well known still is the great lowland forest birding on the south-western side of the park. A tough walk in from an access point near Liwa brings you to Way Titias; an area of ridges and valleys at around 800-1000 m altitude. 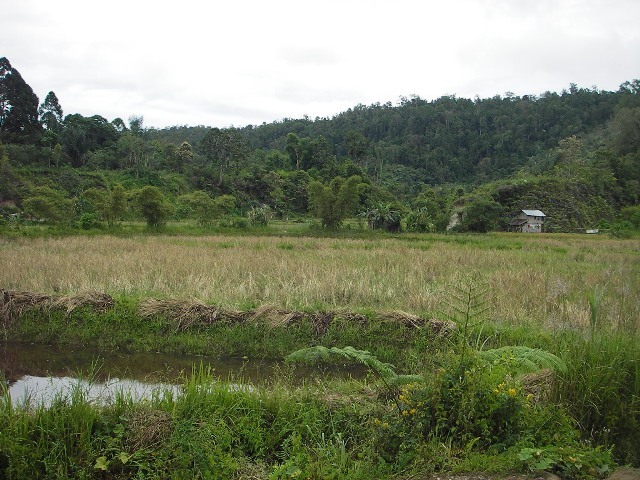 This is the site at which Sumatran Ground-Cuckoo was first seen in 2007, and they have been seen regularly by most visitors since then. 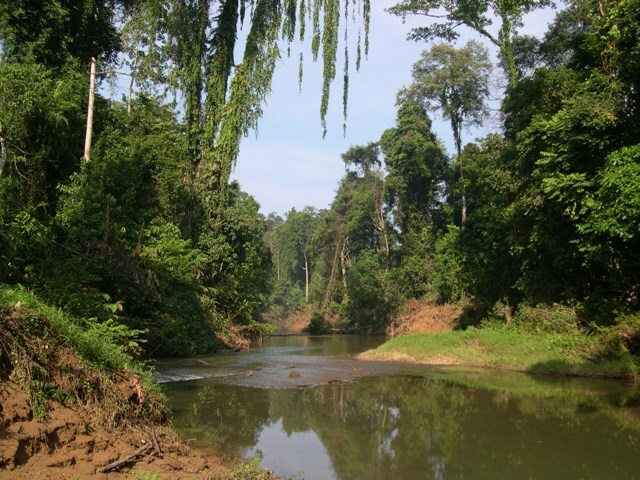 In addition to the ground cuckoo this area has also proved to be very good for a number of other sough-after Sumatran endemics and specialities, including Bronze-tailed Peacock-Pheasant; Salvadori’s Pheasant and Graceful Pitta. The cuckoos are pretty wary, as you’d imagine. The best tactic is to wander around listening for calls, perhaps playing a tape intermittently to try and coax them out. Once you have found a calling bird, move a bit closer and try and find a spot to hide where you have a good 360 view of open ground (this is not easy, but you get the idea!). Then play a tape (available from Xeno-Canto). The bird is likely to move in, calling occasionally. If you can, tape the actual bird and play it back; this drove them wild when we did it. The birds move VERY fast; running along the forest floor stopping every few seconds. This means that even if the bird sounds distant it could be right in front of you in no time. Likewise, if it sounds like the bird has moved away, persist, as it could be back before you know what is going on. The walk in to Way Titias is also interesting, not least at the very start when the trail goes through rice fields and scrub. It is here that Sumatran Babbler has recently been recorded several times. Danau Ranau is the name of a lake a few miles north of Liwa. The lake is not that interesting for birds, but the forested hills above it are. If the walk up doesn’t kill you, then a few days camping and birding in the forest at around 1000-1500m can be very productive. 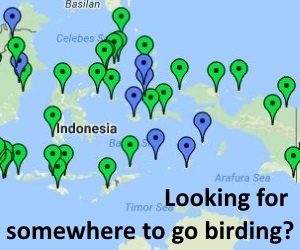 This site holds species that are very hard to see anywhere else, including Sumatran Partridge; Schneider’s Pitta; Dusky Woodcock; Sumatran Cochoa and even the elusive Sumatran Laughingthrush. Once you have established a camp you can simply walk in any direction that looks interesting, there are no trails, so it doesn’t make any difference! This is easy birding along a surfaced road that follows the edge of the forest for about 1 km, then actually crosses the whole park, through nice forest for about 10 km. The altitude is around 500m, making it too low for all the really nice things, but its still worth a look. It is exactly here that Sumatran Ground-Cuckoo was rediscovered in 1997 when a bird was accidentally trapped by small mammal researchers who didn’t know what it was and released it! Sumatran Babbler has also been recorded along the road before it enters the forest. 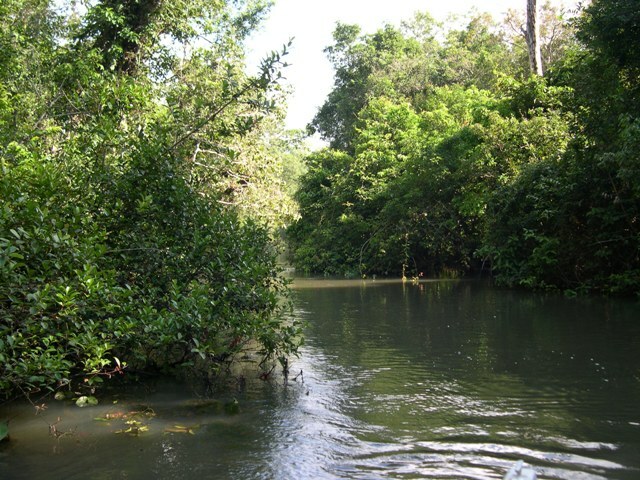 Way Canguk is the location of a research station run by the Wildlife Conservation Society – Indonesia Program (www.wcsip.org or www.wcs.org). It lies about 4 km into primary lowland forest and a network of trails radiate from it. If you can get an invite to visit, the straight-line trails make for great birding, and many lowland species have been recorded here over the years. 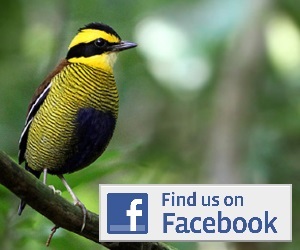 Highlights include regular sightings of Giant Pitta, abundant Rail-babblers and Banded Pitta, and lots of Great Argus. 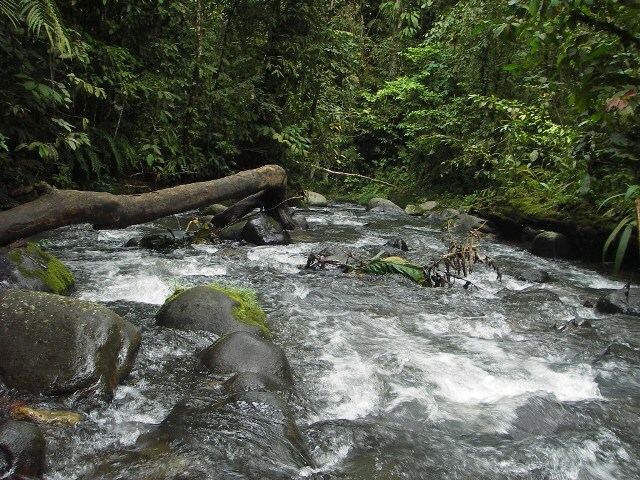 Way Titias and Danau Ranau are both accessed from the town of Liwa. This is about 5-6 hours drive from Bandar Lampung, or slightly less from Lampung Airport. The direct route is by bus, taxi or share car (‘transport’) direct from Bandar Lampung (town or airport) to Liwa. A hire car/taxi would be around Rp 400,000–700,000 one way. If you arrive at the airport in Bandar Lampung get a car direct from there as it will be quicker than going into town first and back out again. If you are travelling from Way Kambas, the road to Liwa is on the same side as the road from Way Kambas (which passes the airport), so you don’t really need to go all the way into Bandar Lampung town. So.. either get dropped at Bandar Lampung Airport and get another taxi from there, go direct in the same car, or get dropped at the first big bus station, called ‘Terminal Raja Basa’, on the edge of Bandar Lampung (just beyond the first big roundabout you come to). If you intend to travel by bus to Liwa there are direct and indirect options. Both should be about as quick, as they follow the same road exactly, and the indirect ones may be more frequent. Direct buses would say ‘Liwa’ on the front (no surprise there…) this would be around 5-6 hours. Indirect buses would say ‘Bengkulu’ on the front and you’d get off at ‘Kemuning’ (2-3 hours) and from there get another more frequent bus to Liwa (2-3 hours). Once in Liwa you will need to visit the sub-office of the National Park to get an entry permit and meet up with the local guides (or if you are with a Jakarta-based agent like Indecon they will take care of all of this). The best local guides are Toni and Gamal. They will be able to help arrange everything you need, including all the food and supplies for camping, that you should buy in Liwa. At time of writing Toni’s phone number is +62 813 6935 1137. He doesn’t speak much English, so best to try using sms/text first to announce your visit. If you stay overnight in Liwa then a good option is ‘Purnama Hotel’, and there is a good restaurant close by called Sari Rasa, and the owner can speak English well (so help you communicate with Toni, if necessary). For Way Titias you will next move to the forest edge at Landos, and probably meet up with the second guide, Gamal (+62 813 6939 5121). 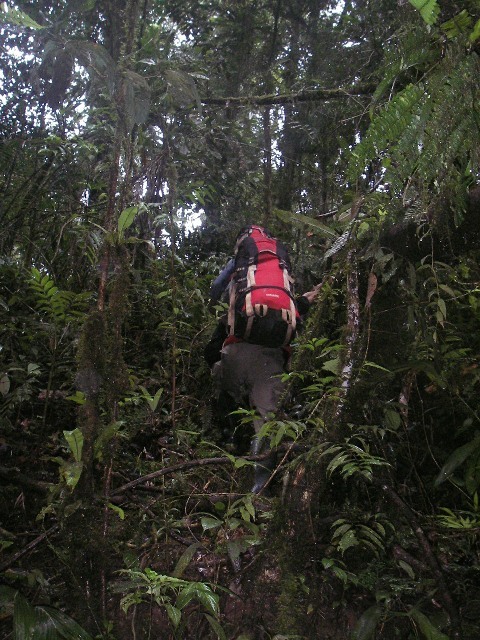 From there access is on foot through forest for about 4-5 hours, including steep hills and several river crossings! For Danau Ranau the access is by a short mini-bus ride to the lake (‘Danau Ranau’), then probably a short boat ride across the lake, followed by a killer 5-6 hour walk up to the forest edge. 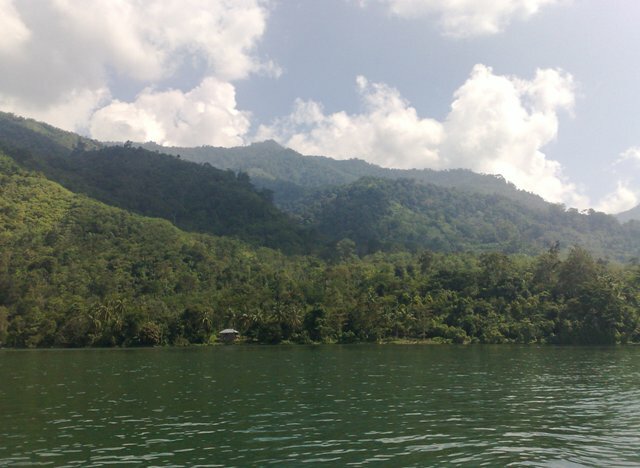 Sukaraja is easily accessed from Kota Agung. First you should visit the National Park Headquarters (easy to find in Kota Agung, it is the big office on the right as you go into town from the direction of Bandar Lampung). In Kota Agung there are several accommodation options, shops and restaurants. To get to the park edge at Sukaraja simply hire a motorbike taxi, or a real taxi, and get dropped near where the road enters the forest. From here you can birdwatch along the road. Way Canguk Research Station is technically closed to visitors, but it may be possible to visit by asking either WCS or the national park nicely! If they agree then the access is from the village of Pemerihan on the western side of the park, near where the Sukaraja road emerges on the western side. Access to the station is a 1-2 hour walk on foot and you would need either WCS or the National Park to show you the trail. 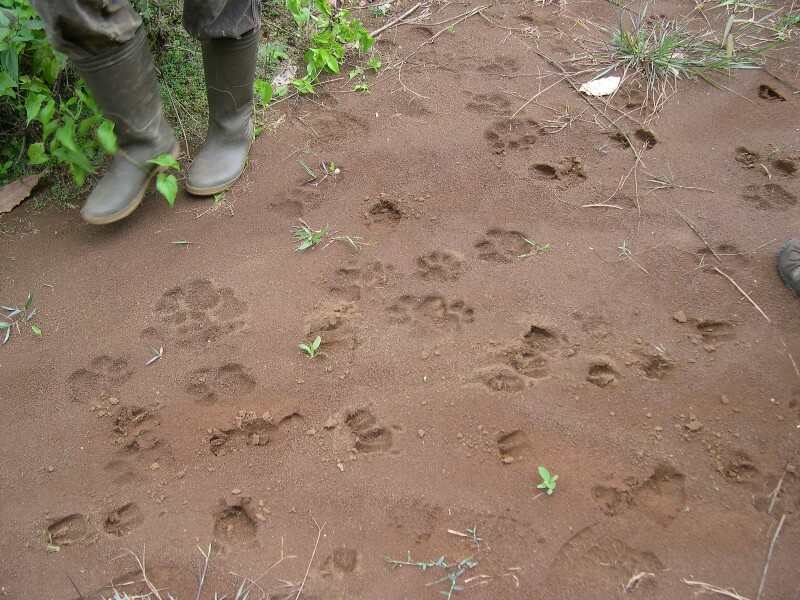 Note: there are wild tigers and elephants in BBS so you should be aware of the risks of both of these when out birding. Take a local guide and follow their advice.